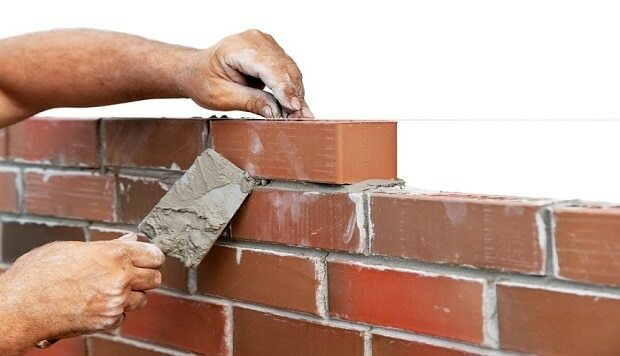 The strength of brick masonry mainly depends on the strength of bricks that are used in the construction. The strength of bricks depends on the soil used to make the bricks, method and making process, burning of bricks. Since the nature of the soil varies from region to region, the average strength of bricks also varies from region to region. 3. Size and shape of the masonry construction. 7. The method adopted for laying bricks. There are some useful checklists which can be applied to increase the strength of brick masonry. 1 Visual check – The bricks to be used should be good quality, burnt well with uniform shape, size, and color. 2 A metallic ringing sound should be produced when striking two bricks with each other. 3 A good quality brick will not break if dropped from one meter height. 4 A good brick should not absorb water more than 20% (By its weight) while submerged in water for 24 hours. Also Read – Types Of Pointing. Subscribe Our Newsletter For More Useful Posts Like This. Thank You. Interesting article, people don’t realize what goes into picking a good brick.